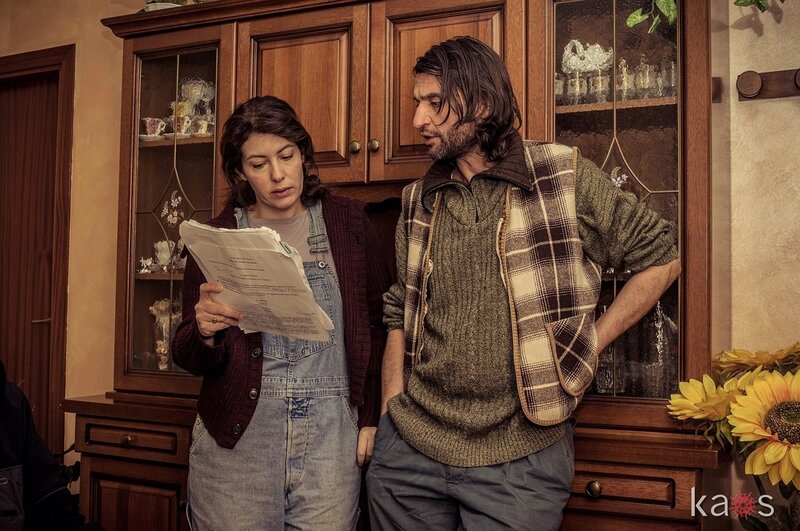 Italian Cinema Today: Film Shot in Basilicata is Headed to the U.S. I recently had the great pleasure of seeing La Slitta on the big screen at the Bella Basilicata Film Festival and also meeting the director and actress Emanuela Ponzano in person. It's no wonder this short film has received so many accolades. It's a beautiful coming-of-age story about discovery and tolerance. In today's climate of prejudice and intolerance, it's a great message for people of all ages. Emanuela Ponzano's short film, "La Slitta" (The Sled) will be shown this month at two American film festivals. The Rhode Island Film Festival, which will qualify the film for Oscar and BAFTA consideration, will show "La Slitta" on August 14. Then a week later, on August 20, the film will be shown at the New Filmmakers Los Angeles Film Festival. In addition, it was awarded Best Drama Foreign Short Film at Ohio's Indie International Gathering Film Festival. 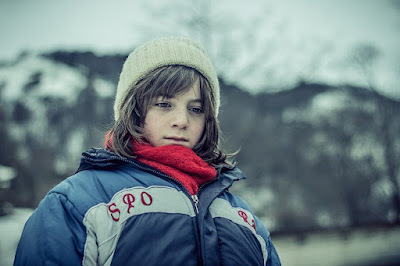 Shot in the region of Basilicata, "La Slitta" is the story of Alfred, a child who lives with his family in the woods near an isolated village in the mountains of southern Italy. His parents have strong prejudices against immigrants. Bored and unhappy, they often quarrel, and they pay little attention to their son and usually disregard his need for attention and affection. One day, wishing to get away from this oppressive atmosphere, Alfred disobeys his father’s strict orders for him to stay at home and he leaves the house to go and see his classmates. On his journey through the woods he gets lost and he comes across a wooden sled and its owner, a young boy from another country who seems strange and different, and who Alfred has sometimes seen around the village. After an initial clash, in which they project the prejudices of their parents and society onto each other, they tell each other about their lives. They soon start to relate to each other and understand each other’s problems. Thanks to the sled, Alfred will have his first experience of a genuine relationship with another person. Emanuela Ponzano was born in Brussels. She is an actress and director in both cinema and theatre. She divides her time working mainly between Rome, Paris and Brussels. In 1995, after having completed her degree in Political Science at the ULB in Brussels, Ponzano decided to dedicate herself completely to theatre and film. Over the years, she has directed a number of works. In 2008, she directed the short films "Bagnasciuga" and "Riflessi". They have since been shown at many national and international festivals and won three National prizes in 2010. "La Slitta" is her second short narrative fiction film. I spoke with Ponzano in January prior to a Rome screening. She shared her inspiration behind this film and its relevant social message. Why did you want to tell the story of this boy and his isolation? Having been born abroad and personally having had a fair share of the many forms given to the word “immigrant”, I have chosen to direct my attention to the question of racism, which seems to have made a predominant come-back to our country and in the rest of Europe. According to the richly informative “Report on racism in Italy” relative to recent years, it appears that the current situation is not one to be taken lightly. The rhetoric of “foreigners stealing our jobs” is what fuels anger towards immigrants. Thus, in recent years, thanks to a spreading sense of foreboding caused by growing job insecurity combined with an incessant and alarmist media campaign, the migratory fluxes from North Africa and Eastern Europe have become targets of a new and disquieting form of hostility. My motivation for wanting to make this film is the desire to write and direct a short movie that is authentic, from the heart, and accessible to everyone; educational in the sense that it will deal with important issues such as racism and communication barriers between children and parents, as well as the indoctrination that children receive as part of their upbringing, which can indeed include racist inclinations that they are not yet able to discern. It’s about solitude, about dealing with and listening to other people, about dreams of a better life. What can you tell me about the symbolism of the sled? The surreal component in the form of the “Sled”, as well as being the symbol of a downhill journey and a way out, lifts the film from its realistic narrative plane and allows it to add the intimate dimension of a child’s world and imagination. The sled and its owner, an Albanian boy (with his good sides and bad, as with everyone) are Alfred’s new friends. Through sport and games you can unite two different cultures. I saw that you play the part of the mother. What were the challenges in directing yourself? Well it wasn't easy at all. A lot of work goes into directing, leaving little time to concentrate on acting. So I worked a lot beforehand, and on set, I chose a good technical team. I noticed the internationally diverse cast. What is the Albanian connection? Well Riccardo Specchio who plays the main character is half Italian and half Albanian and it is a wonderful coincidence. I chose to talk about Albania because they were the first immigrants to arrive in Italy 30 years ago. People are more apt to understand now because they've known each other for a longer time. It would be more difficult talking about Syrian people now. There's still too much confusion. Why did you choose Basilicata as its location? Well Basilicata came to me. I met lot of people from Basilicata and the Film Commission was interested in my story. And when I first saw Monte Sirino I was shocked by the beauty and the immensity of the mountains. We will keep you posted on distribution and future festival coverage for "La Slitta". In the meantime, follow the film on Facebook and check out the trailer.